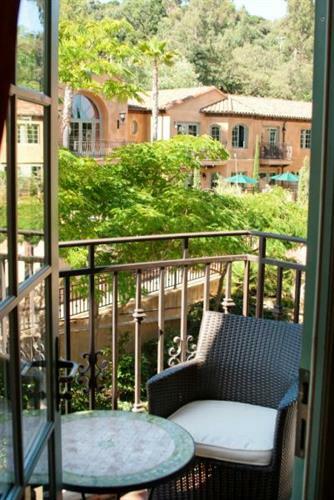 Mediterranean sophistication blends with California charm to create a hotel reminiscent of a private villa. 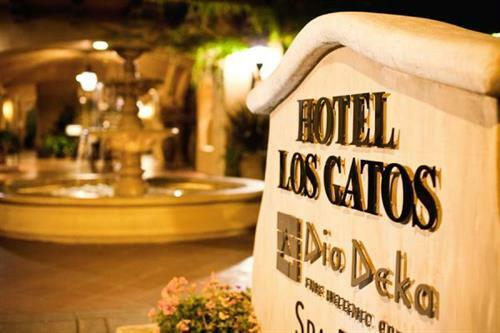 Hotel Los Gatos is nestled in the quiet charm of historic downtown Los Gatos at the base of the Santa Cruz Mountains. It's just a short drive to downtown San Jose, the San Jose International Airport, and Santa Cruz Coast. There are many fashionable boutiques, wineries, restaurants, bars and the town square within walking distance from the hotel. 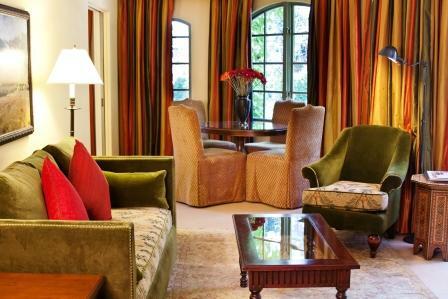 Our guestrooms offer high-speed Internet access, a large writing desk, twice daily housekeeping service, a newspaper delivered to your door each morning, a fully stocked honor bar featuring specialty food and spa items, and in-room dining service from Dio Deka restaurant. 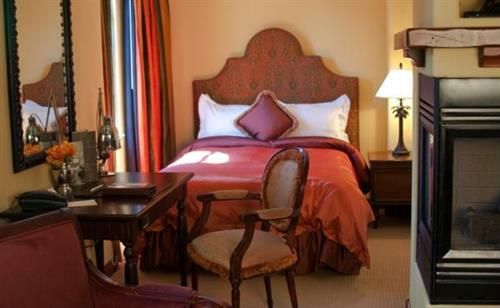 Of course, you'll also find the usual amenities such as cable TV, hairdryer, iron and ironing board, and in-room safe. Dio Deka, located at Hotel Los Gatos, serves fine Greek cuisine in a warm, upbeat atmosphere. The Dio Deka chefs create traditional favorites with contemporary flair and only the freshest, seasonal ingredients. You will soon discover why this is a such a popular weekend destination for dining and drinks.